All matches are on 28 October, apart from the Midlands Women’s competition which takes place on 29 October, in a Championships which will see 61 teams take part. In the Men’s North competition at Sugden, defending Plate champions Leeds Beckett University have two Group 2 matches, against Liverpool John Moores 2 University and University of Bangor 2. 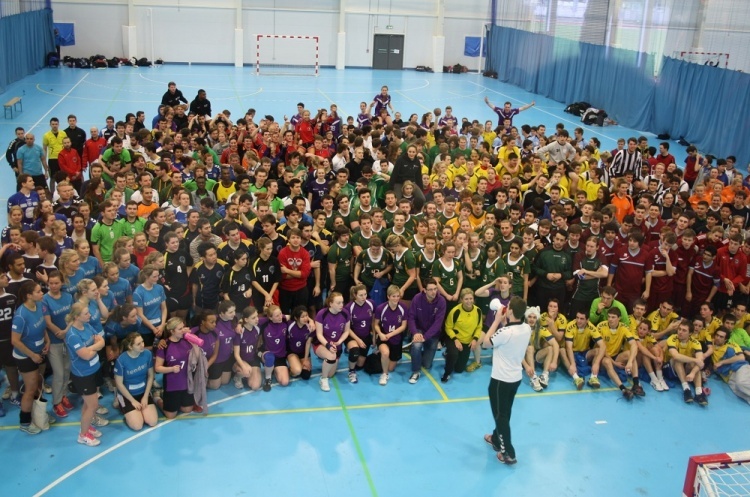 In Group 1 Liverpool John Moores University, University of Manchester, University of Lancaster, and University of Liverpool all have games. The Northgate Arena in Chester hosts the North Women’s competition. Liverpool John Moores and the University of Liverpool play each other in a local derby, while Leeds Beckett University, University of Bangor and University of Lancaster are also in action. In the Women’s South competition defending Plate Champions Imperial have two Group 1 matches, against University of Bath 2 and University of Oxford. Bath also play University of Cambridge in the Group. Group 2 pitches University of Bath 1 against UCL, and University of Kent against University of Middlesex. The matches take place at Leyton Score Centre. In the Men’s South competition there are eight matches in three groups at Barking Sporthouse. The first game, in Group 1, sees the University of Cambridge 1 team come up against the University of Oxford in an Oxbridge battle. Cambridge also play Imperial in the other Group 1 match. The University of Middlesex are also in action twice, against Cranfield University and the University of Kent 2 in the two Group 2 matches. University of Kent 1 play in Group 3, along with UCL, Kings College London, Brighton, and University of Chichester 1. In the Midlands Men’s competition at Sutton Bonnington, defending Cup Champions University of Loughborough 1 have just one match in Group 1, against University of Nottingham 2. Also in Group 1 University of Birmingham 3 play University of Birmingham 1 in what is sure to be a keenly contested match. Birmingham 1 play University of Warwick 2 in the other Group 1 game. University of Warwick 1 face University of Birmingham 2 in Group 2, while University of Worcester play Nottingham Trent University, and University of Loughborough 2 take on University of Nottingham 1. The Midlands Women’s competition is at Sutton Bonnington the following day. Bragging rights in Nottingham will be at stake in Group 2 when University of Nottingham 1 play Nottingham Trent University. A busy schedule also sees Group 2 matches between University of Worcester and University of Birmingham 1, University of Loughborough 2 and Birmingham 1, Loughborough 2, and Worcester, and Loughborough 2 and Birmingham 1. University of Warwick play University of Birmingham 2 and University of Loughborough 1 in Group 1, while Birmingham 2 are in action against University of Nottingham 2.